In late February I had the pleasure of visiting San Juan with my mom. Since holidays with my family are always an excuse to consume obscene amounts of delicious food, we wasted no time looking up the best places to eat. Marmalade is located in a restaurant-laden area of the beautiful district of Old San Juan, and its atmosphere is classy and open while still being funky and intimate. Backpackers be warned: this meal is not going to come cheap, but I assure you it is worth every cent — what’s a vacation if you don’t treat yourself? Before I talk about the food, I’ll just say that the service was incredible — attentive, accommodating, and knowledgeable without being imposing or pretentious. When I mentioned I was reviewing for a vegan food blog, our waiter was not only eager to point out appropriate items on the menu, but even asked the chef for a copy of the menu for me to take home (which he apparently doesn’t do for just anybody). The chef himself — Peter Schintler, an accomplished gentleman who studied under Gordon Ramsay — came out later on to talk with us about the food and the blog, and vegan/vegetarian food in general. Apparently his wife is vegetarian so he doesn’t find it difficult to cook without meat or dairy, and often will at home. I also appreciate his willingness to make something for everyone by leaving items out or altering dishes to meet dietary restrictions or allergies, something many chefs would consider akin to ruining the food. Marmalade has a full page of vegetarian items on their extensive menu, and nearly all of these are or can easily be made vegan, which our wonderful server assured me would not be a problem. You can order à la carte if you’d like, but I recommend doing one of the tasting menus, which gives you four, five, or six smaller courses (including dessert, for $59, $69, and $79 respectively). I did five courses (though it was a bit much for me, admittedly), of which three were vegan. The first dish I tried was the delectable sweet corn and lemongrass soup, which came poured over a salsa of haas avocado, grilled corn, red onion, and organic sprouts, and topped with sunflower shoots. The sweetness of the corn was offset by the tart pieces of avocado, and it had a pleasantly spicy finish. The texture and creaminess were reminiscent of a chowder, but the flavour palate was completely unique. I’m a big soup lover, but it’s not terribly often I have a soup in a restaurant that really blows my mind. This one did. For the main course, I went with the ratatouille (I asked to have the goat cheese left off). 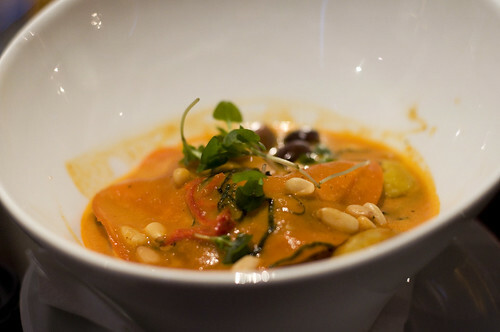 This hearty provençal vegetable stew featured potato, spinach, zucchini, and a handmade roasted red pepper sheet pasta in a creamy tomato sauce, topped with pine nuts, sunflower shoots, and candied black olives. The sauce was so beautifully creamy that I actually double-checked with the server to make sure it was, in fact, vegan (he was jokingly offended that I would even ask). All the vegetables were cooked to perfection — no mealy potatoes or squishy zucchini to be found here — and each individual flavour was brought out. I don’t recommend ordering this as your last of four dinner courses, like I did; it’s quite filling so I could barely manage half of it, much to my own disappointment. Thankfully, there’s always room in the dessert stomach, and I had the lemon-chamomile sorbet*. 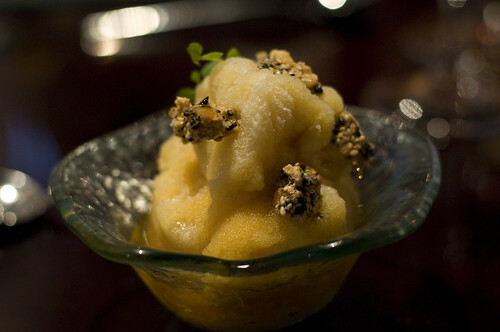 This soft and delicately flavoured sorbet was punctuated with crisp pieces of sesame-peanut brittle. Certainly a combination I’d never encountered before, but it worked wonderfully, and its cool, light sweetness was the perfect finish for someone like me who had eaten too much but still wanted dessert. *please note: this dish has honeycomb in it, but since most vegans I know are okay with honey, I felt I could include it here. Overall, I think Marmalade was honestly one of the best restaurant experiences I have ever had. Not once were we kept waiting, not once was a bite of food I put in my mouth anything short of incredible, and not once did I feel rushed or uncomfortable. But the pinnacle of service that goes above and beyond? When we arrived, we had just been caught in an impressive rainstorm and had been using my mom’s scarf to shield our heads. Thus, it was completely soaked and she asked our server if he could hang it somewhere for her. When he gave it back to her at the end of the night, he hadn’t merely hung it up — it was still warm from being in the dryer! I truly hope that anyone planning a trip to San Juan, or any Puerto Ricans who may be reading this, will devote an evening to visiting this delightful and creative restaurant. This entry was posted in Guest Contributors, Photos, Restaurant Reviews on March 19, 2012 by gunstreetgirl. There are plenty of vegan-friendly spots in Vancouver, but most of them are on the casual, “funky” side. Sometimes, you want a fancy meal – maybe it’s your anniversary, or you want to impress your parents. Kaylie and I are asked fairly often where a vegan can take a date for a good meal and a decent drink. We promise that all of the following restaurants won’t play obnoxiously loud hip-hop, have terrible service, or smell like nag champa. The price points noted below are for, approximately, a complete meal including a shared appetizer and dessert, and one entree each, plus a bottle of wine or some cocktails and tip. Note: RADHA IS CLOSED for the time being. Visit their website for updates. Radha has a seasonally changing menu as well as a menu of constants. They have a raw special every day and always have a raw dessert as well as two non-raw dessert options. 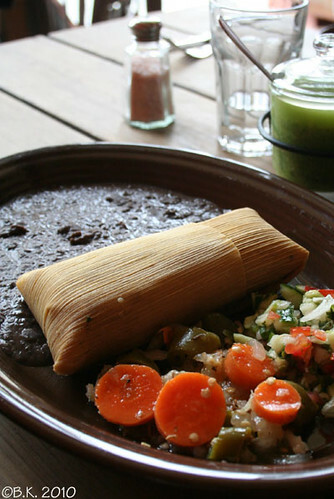 Their menu is primarily made up of organic, seasonal vegetables. Every dish is delicious, creative, and beautifully presented, and the beautiful brick-and-hardwood space has a gorgeous view of the city from its Main Street facing windows. For a set price, you can mix and match one appetizer, one entree, and one dessert. They also have a great organic, vegan wine list, as well as kombucha and some other fancy mixed non-alcoholic beverages. On Fridays and Saturdays expect chilled out live entertainment. The catch? It’s only open 6 – 10pm, Wednesday through Sunday. This incredible concept restaurant is a tiny hole in the wall with a patio. They have a decent drinks list and one of their selling features is three different types of Pimm’s punch. The thing that makes Grub so special, however, is that they offer one appetizer, entree, and dessert daily from each of a number of categories – seafood, chicken, beef, vegetarian, and vegan, for example. So if you visit Grub, you will only have one choice, but it’ll be creative and beautifully presented. You won’t have the same thing twice there, plus your dining companions can choose to eat non-vegan if they’d like to. Easily the least expensive establishment on the list. Nuba has multiple locations but it is their Hastings Street restaurants that are best for a date. Service is impeccable and non-intrusive, and the menu is very vegan friendly. The food is Lebanese-style. For a date, I’d recommend getting mezze platters of three of the vegan options and sharing – there’s something about sharing food that facilitates conversation and connection. Their drink list isn’t cheap but is very creative. The baklava here is loaded with butter, but they do occasionally have vegan desserts, as far as I know. Wild Rice has quite a few vegan options, and while their menu changes every so often, they have a commitment to a dairy-free kitchen, so their vegetarian options are always vegan – they’re clearly marked. They also serve fish and chicken. They provide for tofu substitutions on some chicken dishes. This place is pretty hip and has a drink list to match; it’s also a bit more upscale than the other restaurants on this list, as far as clientele goes. Vij’s is an upscale Indian restaurant that is called the best Indian food in Vancouver by anyone who’s eaten there. There are several vegan items on the menu, and the staff is extraordinarily knowledgeable about vegan options. Most of the amuse bouche items that are passed around to waiting patrons are vegan as well – which is a good thing, because Vij’s doesn’t take reservations, and arriving any time after their 5:30pm opening time guarantees a wait of up to a few hours. Trust us – it’s worth it. The food is carefully, beautifully prepared. Each dish is a work of art with years of expertise behind it. If you want to save a little bit of money and time by sacrificing a bit of quality, visit Vij’s Rangoli next door. This entry was posted in Lists, Restaurant Reviews, Vancouver on July 18, 2011 by malloreigh. Strangely enough yesterday was the first time I had ever ventured into the Tenderloin. I had heard fables and tall tales abut how awful and scary the Tenderloin is, equivalent to Vancouver’s Surrey. In fact, the Tenderloin is a gem and only those daring enough to adventure into it’s decrepit belly are going to experience an important part of San Francisco history. My friend from Albuquerque (Kayla) just so happens to live in the Tenderloin so she invited me to her neck of the woods for brunch on Sunday morning. I’ve been to a lot of coffee shops and cafés in my day, all of which have either be part of the homogenous blob of capitalism or unique to their own neighbourhood. Little Bird is a perfect example of a small café that keep true to the vibrance of their neighbourhood by keeping there menu simple, but versatile and having the walls be a stage for Tenderloin art and artists. I had no idea what to expect when I visited this gem in the heart of the Tenderloin. Upon entering I immediately realized that almost every item on there menu was veganizable. Hell yeah! Their options for sandwich fillings were also incredible, house roasted tomatoes, hummus, avocados, garlic, vegan pesto, daiya. Amazing!! After I ordered, the woman making my sandwich came and sat down next to me to inform me she was out of tofu scramble for the sandwich, but would make me a sandwich with avocado, daiya, hummus and roasted tomatoes. It was $4, panini pressed, delicious! I couldn’t be more happy in my surroundings with the service and with the food. Next time I go back I’m going to be prepared to try everything I can on the menu, especially this thing they call a kombuchosa, locally-made kombucha mixed with oj! Thank you little bird for putting faith back into small cafés for me. Vancouver take note! This entry was posted in Breakfast/Brunch, Restaurant Reviews, San Francisco and tagged cafe, coffee on March 8, 2011 by kaylie. There is so much vegan awesomeness going on in Vancouver right now that I can hardly handle it. Even though Kaylie, my co-blogger and love muffin, got on a plane to SFO (aka VeganSaurus-land) today, there is much to be excited about in the Canadian vegan mecca in which I live. First of all, there’s the impending opening of a vegan bakery called Edible Flours. Unfortunately, it’s not in my part of town. Fortunately, I have been blessed with both a bicycle and a bus pass, as well as legs that work reasonably well, so I can go there. I hope you are in a similarly fortunate situation. Also very very soon, there will be a vegan shoe store called Nice Shoes opening in East Van – and lucky me, I got to meet the woman behind it when she ate my delicious second-place Social Bites meal on February 19th. Speaking of Social Bites, the head honcho of that little community foodie operation, Annika, is looking for hobby chefs interested in cooking a vegan meal around the Commercial Drive area for April or May. I recommend being a part of this event – it was amazing! And on we go – on Wednesday March 9th, Vancouver’s only totally vegan (and not totally raw) restaurant is hosting a vegan bake sale as a fundraiser for the BCSPCA. Yum. Finally (did I miss anything else? 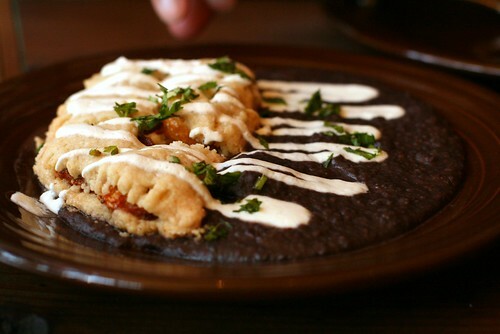 ), we here at Vegan Mischief are taking reservations for our next brunch on March 19th, 2011. If you’d like to attend, let us know how many are in your party and whether you’d like to come at 10, 11, 12, or 1, and we’ll get back to you with all relevant details. The theme will be French, and I have heard that there may be freshly baked vegan croissants involved. Contact us for a reservation. This entry was posted in Events, Vancouver on March 1, 2011 by malloreigh. Solly’s is an honest-to-goodness Jewish bagelry. There are three locations, all of which I’ve been to – check their website for details. 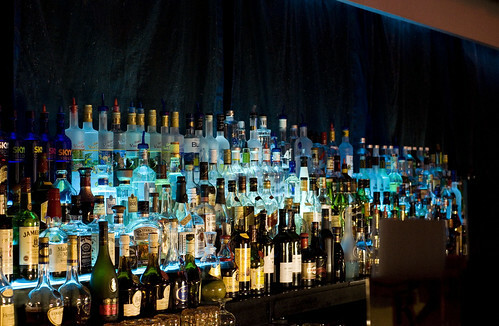 The homey atmosphere and great service aren’t the only reason to visit. I suspect that it is because Solly’s is a true Jewish bakery that their bagels are made without egg or egg wash – unlike some other locally made bagels. Yep, that means that almost all of their bagels are vegan. I believe they have a cheese bagel, but you could have figured that one out without anyone’s help, I imagine. I crave Solly’s decently priced and incredibly filling veggie bagelwich fairly regularly. It’s an open-faced sandwich piled high with vegetables and served with a choice of spreads – the vegan choice is homous – that’s slathered on so thickly it oozes out the bagel’s centre. A handful of chips seals the deal. You can dip them in the dropped homous. This sandwich has actually never disappointed me, and I’ve had it at all three locations multiple times. You can choose from a variety of bagels, or I believe they also serve it on bread. 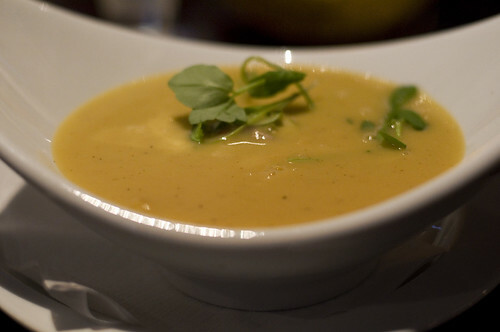 That’s not the only option for vegans at Solly’s – they always have a vegan soup on, in addition to their daily chicken matzoh. I’ve heard that their knishes are vegan, as well, though I have no idea what a knish is and have obviously not tried one. They also have veggie dogs, I think. The thing that sells me most about Solly’s is that they have taken steps to cater to vegans. It clearly says “vegan” on their menu and all the staff have always been knowledgeable about vegan options. You can’t beat friendly service that’s open to dietary restrictions. This entry was posted in Restaurant Reviews, Vancouver on November 23, 2010 by malloreigh. What Kind of Tofu Do I Buy? When I first made the switch to veganism, I hated tofu. It was a flavourless, jellylike mass with all the bad and none of the good qualities of desserts served at daycares. And for a vegan, not liking tofu can be a serious problem. Over time, as I learned about the different types of tofu available, I learned to love it. So, if you’re new to tofu, if you’re cooking for a tofu-eater, or if you’re trying to learn to love tofu, you might find this guide useful. This entry was posted in Lists, Photos, Product Reviews and tagged tofu on September 18, 2010 by malloreigh. 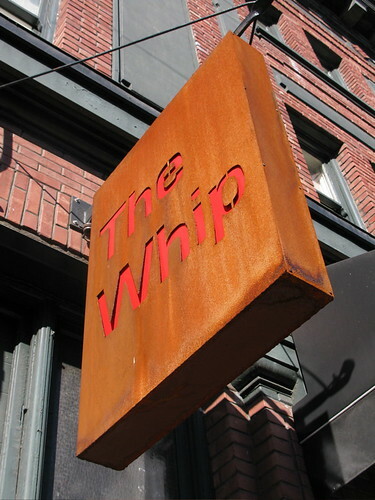 We live approximately one block from The Whip, and finally after living that distance from it for a couple of months we finally decided to visit. We were greeted with smiles, sat down, and both ordered drinks. We were going to eat, but didn’t feel like eating a veggie burger (but I’ve heard their black bean patty is to die for). So we ordered the spring rolls as an appetizer and said we would return for the tofu scram one day. The Whip still held itself up to my high standards, until our appetizer came out. I took a bite, looked at Malloreigh, looked again at the ridiculous price, $8, and practically had a meltdown. The spring rolls had obviously come from somewhere like Costco because they were made with crappy frozen veggies and hadn’t been cooked throughly enough because they were still cold in the middle. It was obvious that they had come out of a freezer package and had been quickly thrown in a deep fryer by an inattentive cook. Our server asked us how they were and my response was “alright”, which I feel is completely acceptable without causing a fuss. He rolled his eyes at me and went back to his little kitchen shaking his cute little hips in his cute little hipster shorts. Now, I know that I’m picky, but if you are going to charge $8 for four store-bought frozen spring rolls please make sure they are cooked throughly, especially when it’s slow in the restaurant. No excuse. After our first experience, Malloreigh had to practically twist my arm to get me to try the tofu scramble – but she insisted so we could review it for our Vancouver tofu scramble list. All I can say is bland, no veggies and bland. Just because I like tofu scram doesn’t mean that I want to pay to eat a brick of plain tofu. I won’t be back to The Whip because it doesn’t have enough vegan options, has pretentious servers, and isn’t worth my time unless for a drink. This entry was posted in Photos, Restaurant Reviews, Vancouver on September 13, 2010 by kaylie.